Blog posted by: Sara Wolfson, 7 March 2019 – Categories: Diversity and inclusion. 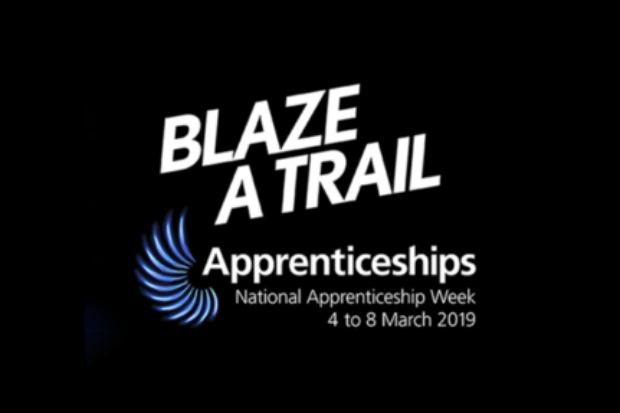 This week is National Apprenticeship Week, and this year’s theme, Blaze a Trail, sums up how our apprentices have brought energy and passion into the Financial Reporting Council (a partner body organisation of the Department for Business, Energy & Industrial Strategy). An apprenticeship is a great way for people to get qualifications while developing workplace skills. For the FRC, it has been a tremendous way to attract new talent. Our apprentices have brought new thinking, a fresh perspective and a high motivation to learn – which is catching! Apprenticeships involve on- and off-the-job learning and development activities that will lead to a work-based qualification. The Government’s expectation is that increased use of apprenticeships will help to improve the UK's productivity levels and address skills shortages. 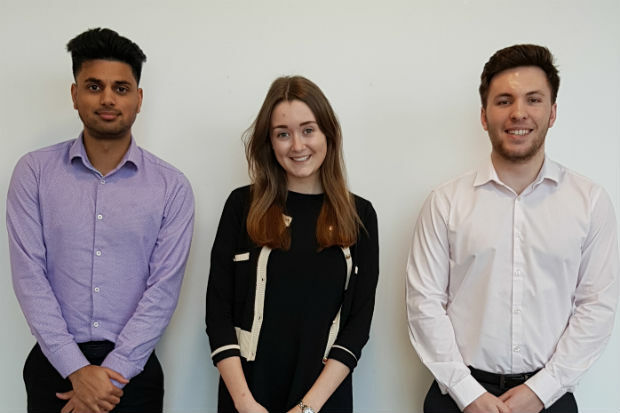 Lydia Smith, Matt Perry and Sonny Tank explain what being an apprentice at the FRC has meant to them. The idea of working and gaining experience really appealed to me. My apprenticeship helped me to gain a nationally recognised [Level 3 Business Administration] qualification and progress into a permanent position at the FRC that gives me a real insight into the depth of the work produced throughout the organisation. I have always worked better when I can practically relate something to the subject I am learning about, so doing an apprenticeship where I am working alongside studying has helped me in both aspects. My apprenticeship has helped me work towards becoming an ACA qualified accountant, which is valued around the world in business. It has taught me many skills alongside becoming an accountant, such as leadership and teamwork, which will benefit me for the rest of my career. Matt is currently working on a project to implement a new authorisation system for the FRC. Maths has always been my best subject and I knew I’d end up doing something close to it. I decided in my final year at university that I wanted to go into a career in data. I knew I had to start out as a data analyst and wanted to complete an extra qualification in this field. The apprenticeship allows me to complete this extra qualification while also being exposed to work life, so it was the best balance between work and studying. I have been impressed with how apprentices arrive in the workplace with some already highly developed skills, such as IT. This has been a great way of getting knowledge-transfer from an expert! Culturally, the FRC has benefited greatly from having an apprentice scheme – and it’s still only early days. New talent brings new insights, especially so with young people who are brand new to the workplace, and this gives the FRC valuable understanding of the views of the wider public we are here to serve. What has impressed me is the passion they demonstrate at interview stage and their commitment to progress further by developing a breadth of experience which they can use in their chosen career. From a hiring perspective, successful apprenticeship schemes have been a positive way to promote employer branding and support D&I commitments. My advice to others considering sponsoring an apprentice is the importance of putting in a little time for coaching, and supporting their apprentice’s learning through a good provider. [Apprenticeships] are a great way for people to get qualified and increase their workplace skills and to increase the diversity of the FRC. Apprenticeships appeal to people from all backgrounds who prefer to learn and work. The Financial Reporting Council (FRC) is a partner body organisation of the Department for Business, Energy & Industrial Strategy. The FRC promotes transparency and integrity in business. It regulates auditors, accountants and actuaries, and sets the UK’s Corporate Governance and Stewardship Codes. Its work is aimed at investors and others who rely on company reports, audit and high-quality risk management. The FRC actively champions diversity and inclusion, including through apprenticeships.